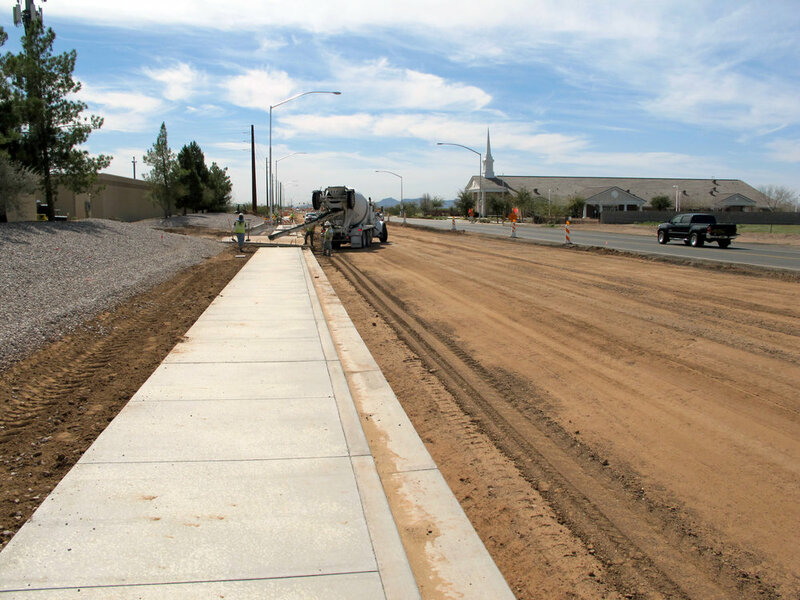 The project consisted of widening Signal Butte Road (north and south of Elliot Road) and adding new curb and gutter, sidewalks, medians with brick pavers, traffic signals at Signal Butte and Elliot intersection, street lights, striping, and street signs. 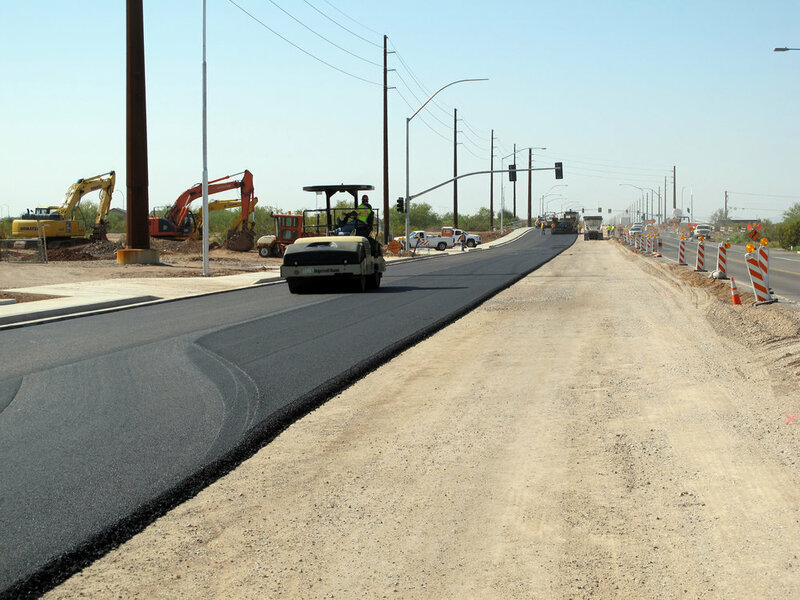 Elliot Road at Signal Butte Road was also widened with temporary pavement. 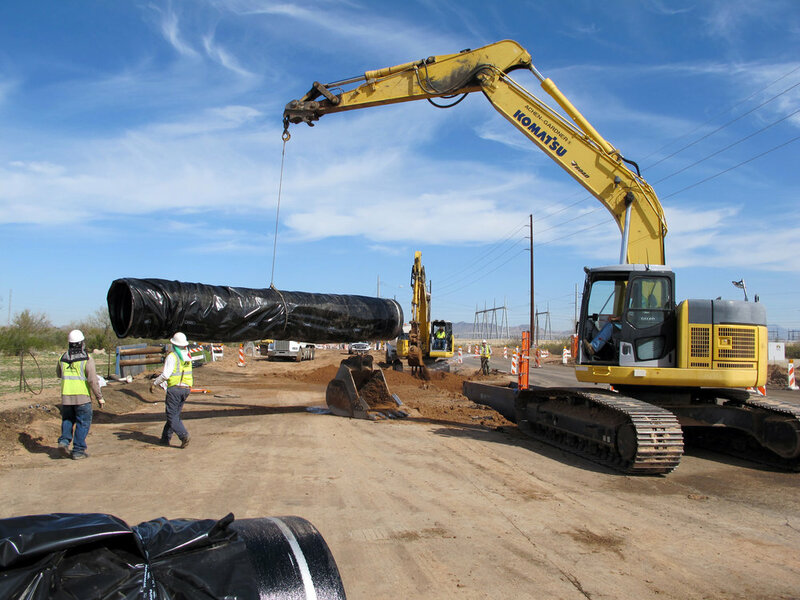 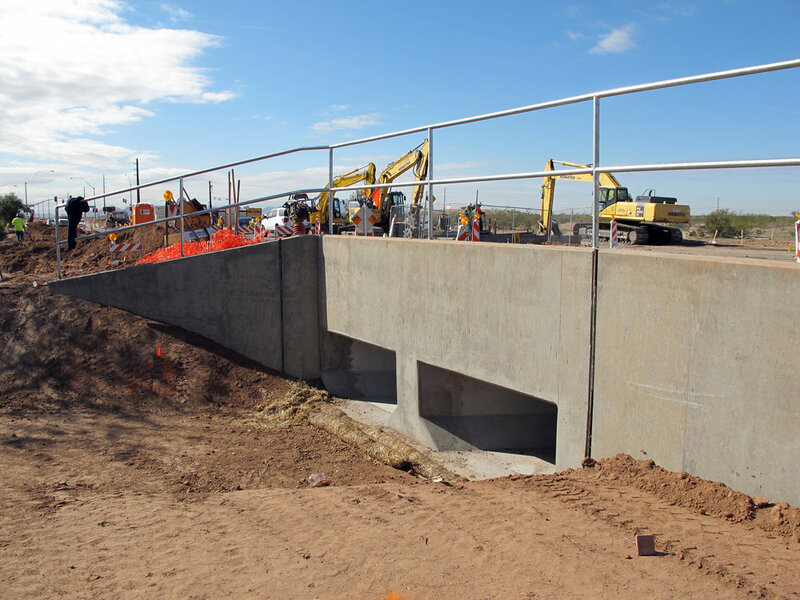 The project also included storm drain work - box culverts, pipe, headwalls, catch basins, scuppers, and two retention basins. 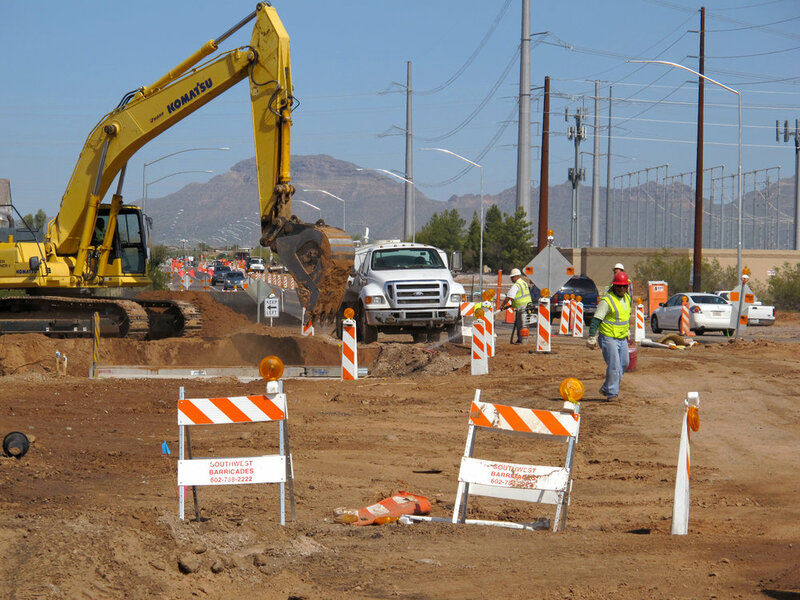 A new 10" sanitary sewer was installed on Signal Butte Road, and a new 20”, 24”, 30”, 36”, and 42” waterline was installed on Signal Butte Road and Elliot Road. 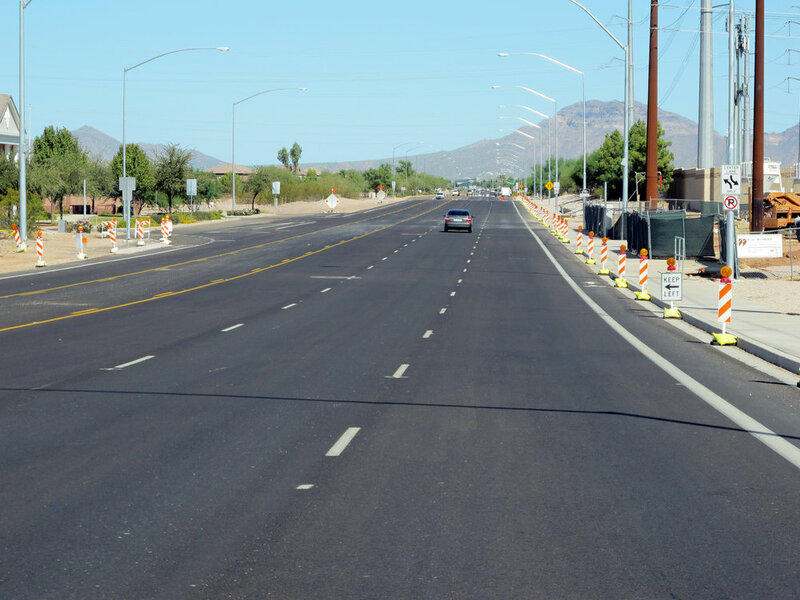 Also, a new integrated traffic system (ITS) was installed on Signal Butte Road, Baseline Road, and Ellsworth Road. 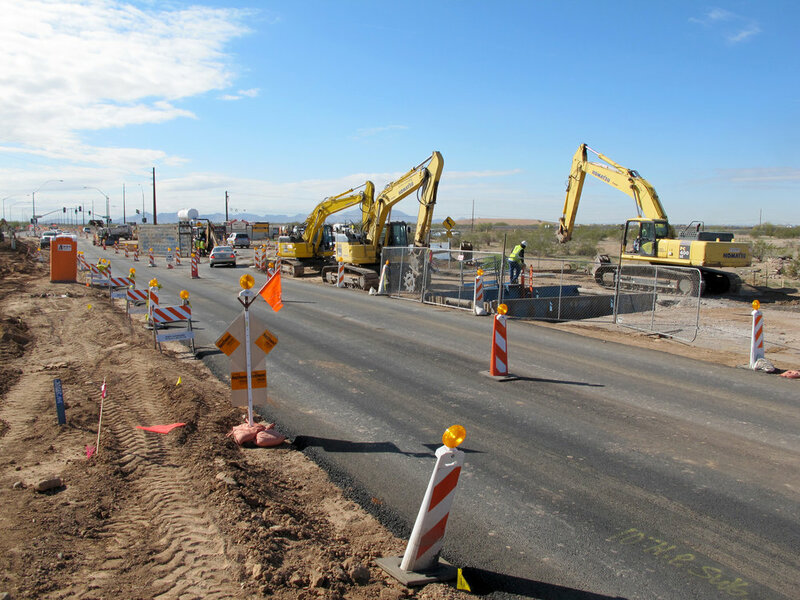 The ITS helps the City of Mesa track and optimize traffic flow.